Add an updated look to your contemporary decor indoor/outdoor with the 52 in. brushed aluminum ceiling fan. 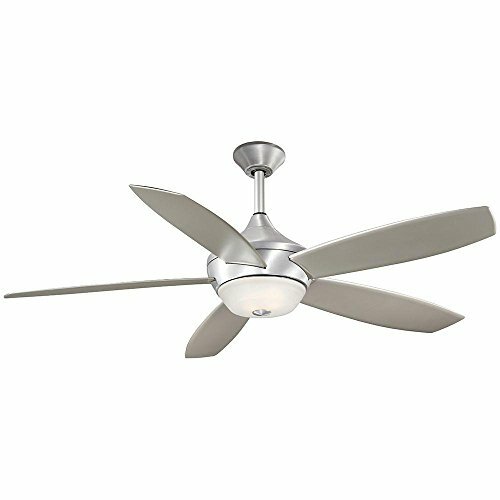 Ideal for large spaces, this fan features 5 blades to help move air efficiently, with quiet, wobble-free operation. The handy wall control offers independent light and speed controls. If you have any questions about this product by Aire a Minka, contact us by completing and submitting the form below. If you are looking for a specif part number, please include it with your message.